How It’s New York: We’d love to be able to claim that Record Store Day started in NYC. 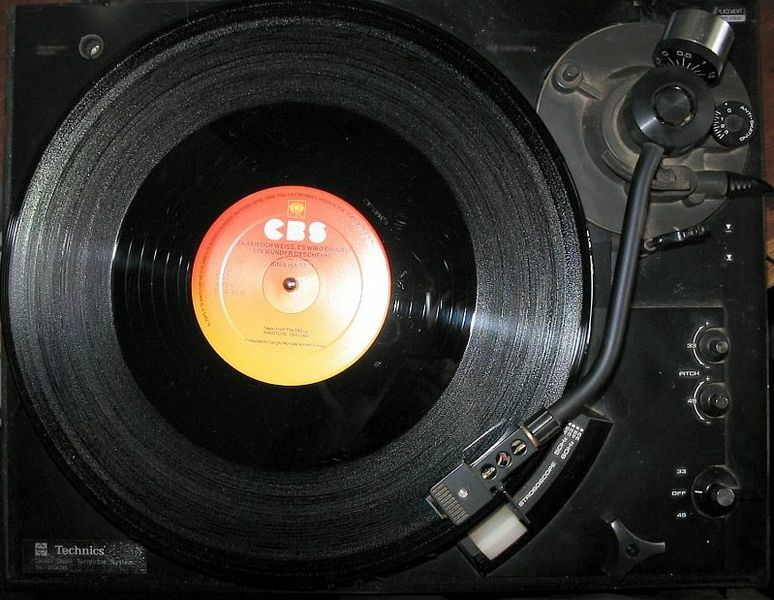 It’s not true, but there are many in NY who appreciate the diff between vinyl and digital. How It’s Irish: Trad players are using new media (and facebook! and youtube! and twitter!) to connect to their fans. That’s not uniquely Irish, but it’s particularly important for a music that is based in insular, rural country. This article was originally published in the Irish Echo on June 1. Cover art, gatefolds, paper sleeves, bonus inserts, colored vinyl, volvelles, secret lockgroove messages – they’re fun, and there’s a lot of real estate that can be dispatched to creatively enhance the music itself. New media – i.e. thinking beyond the CD as the primary vehicle for delivering music – has similar creative potential, as it gives musicians new ways to be creative while opening new ways of reaching out to their fans. Take, for example, the Boston-based band the Ivy Leaf. Comprised of Daniel Accardi (fiddle, concertina), Armand Aromin (fiddle, whistle), Caroline O’Shea (flute, whistle, vocals) and Lindsay Straw (bouzouki, guitar, vocals), the group’s recently released self-titled first album features nimble playing and skilled arrangements that convey a great enthusiasm for traditional Irish music. Straw’s voice on “Raglan Road” and O’Shea’s on “The Night Visiting Song” are both lovely. Straw, in particular, transforms a song often associated with Luke Kelly into something her own, striking a nice balance with the numerous instrumental tracks. The savvy they’ve shown for thinking outside the jewel case in something many artists in trad music might take a closer look at. 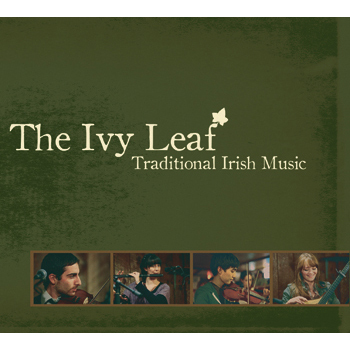 Like an increasing number of groups in other genres, the Ivy Leaf’s physical CD is a somewhat bare bones offering, including only thank yous, recording credits and the briefest of introductory notes. What they do, though, is direct people to their website for booking information, tour dates, bios and extended liner notes (which despite being fairly essential to Irish music, are too often overlooked in the world of downloading). There, fans will also find live performance videos, news updates, links to the group’s Facebook, Twitter, iTunes, CD Baby, Bandcamp and YouTube pages, a mailing list signup and a link to the Ivy Leaf’s EPK (electronic press kit) on the ReverbNation website. Essentially, the group puts the physical and the electronic versions of their album on equal footing. This is a smart arrangement that might seem like overkill to some, but it ensures the group can be found easily, respond to fan inquiries quickly, and get their music sold. It’s a smart, tight presentation that integrates the various moving publicity pieces while reaching out directly to a younger (and hopefully growing) demographic that embraces marketing via social network and increasingly eschews physical product. Ryan McGiver, a singer and guitar player well known in Irish trad circles, is another artist that has taken a unique and engaging approach to releasing his music. His recent “Troubled in Mind,” an album of American ballads co-produced with Shahzad Ismaily, is brilliant and features many of the New York City’s top, most seasoned trad musicians, including Cillian Vallely, Eamon O’Leary, Susan McKeown, Cleek Schrey, Pat Mangan, Dana Lyn and Matt Mancuso. Although it isn’t “Irish” music in style, it’s great music that’s been well reviewed in folk publications and was recently (and rightly) made one of fRoots magazine’s top picks. What McGiver did that distinguished his album from others was to release it first on a USB “stick” drive. “It’s an easier and more efficient way of promoting music,” McGiver reasoned. With this format, McGiver could approximate – even extend – the kind of user experience long playing records offered. In addition to the full album, the drive includes a full-size PDF of lyrics each paired with an original Neil Driscoll painting, two professional music videos and a gallery of early recordings and cover art that inspired McGiver’s work. This material not only helps people better understand who McGiver is as an artist, but it gives his music visual element that enriches the musical experience. Admittedly, this is somewhat unfamiliar territory for most. Many well established artists are not in any hurry to embrace the challenges this new media presents, especially when most trad fans still seem most comfortable with physical product. McGiver even did a recent run of physical CDs for those who prefer them. But keep in mind times are rapidly changing: Nielsen SoundScan’s 2011 year end update reported that digital music sold more than physical copy for the first time last year with 50.3 percent of all music purchases. This figure has been increasing steadily over the last several years (46 percent in 2010, 40 percent in 2009 and 32 percent in 2008), and will likely continue to rise. If you’re a traditional Irish musician and wish to submit your music for review, please visit http://danieltneely.com and click on “Contact” in the right hand column to contact me. I prefer receiving submissions in MP3 form accompanied by a PDF of the album cover and liner notes, delivered via whichever file sharing or digital file delivery service you use. Thanks Dan, always a good thing to remind people! And while we’re at it, you can also send in the same format to me (Gwen) here at newyorkirisharts@gmail.com; I’ll look at contemporary and pop as well. Also send me an email if you have a book, play or other event you’d like us to cover.